This month I'm reading in Lamentations and last night I was back to chapter one. This is really a fascinating book as it is incredibly depressing, yet hopeful. Jeremiah certainly wrote from a place of despair. The world he knew had ended. His agony and grief bleed across the pages. The most glorious city every built lay in ruins and for Jeremiah there was no hope of restoration or rebuilding. There is hope because Jerusalem was not the first city to be destroyed, neither would it be the last. 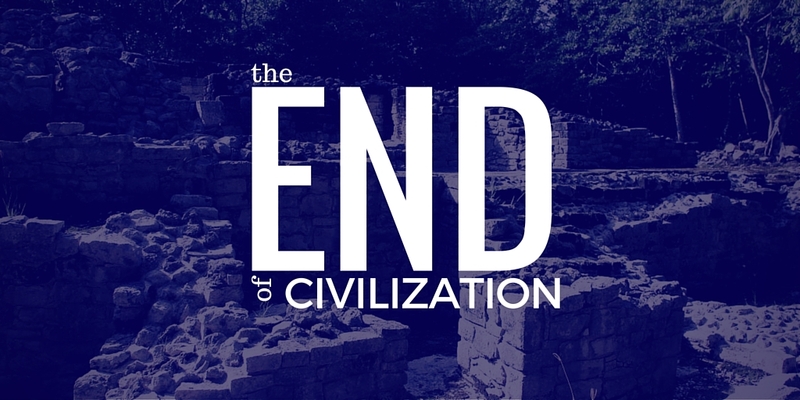 Throughout the history of the world, great empires have risen and fallen. Today, on every continent, we can walk in the ruins of once great cities. 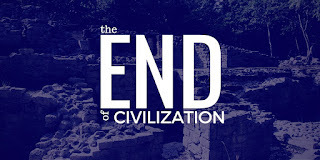 The Mayans, the Incas, the Romans, the Persians and many more have come and gone. No kingdom lasts forever. How lonely sits the citythat was full of people!How like a widow has she become,she who was great among the nations!She who was a princess among the provinceshas become a slave. Do you see the hope now? Just as kingdoms fail, so will you! You'll live for 70 or 80 years if you do well, then you'll become worm food. All you've accomplished will be forgotten. All you've accumulated will rust. All you've done will crumble. Nothing we do lasts forever. 1 Peter 1 says that we have been born again into an inheritance that is imperishable, undefiled and unfading. This inheritance is being kept in heaven for you, guarded by God the Father! If your hope is in yourself, you'll be disappointed. If your hope is in your abilities or accumulation or accomplishment, you'll be let down. If your hope is in your country, you'll find it lacking. If your hope is in a politician, you'll regret it. If your hope is in a leader or a pastor or a celebrity, you'll be disenchanted. Except the kingdom of heaven. Place your hope in the Lord. Invest yourself in his kingdom. Direct your time, your talent and your treasure toward that which truly matters and that which lasts forever.